I'm having a weird issue. 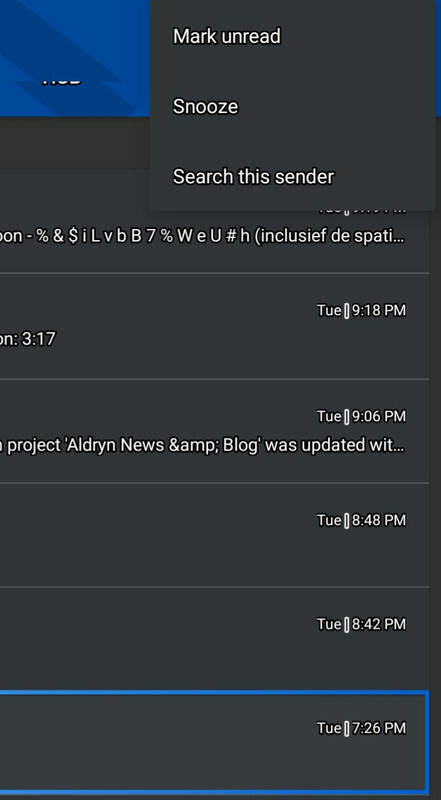 If I click on a call from the list in Hub, it pops up details about the call. If I click the phone icon to dial that person, my phone one continually tries to call another number. No matter what item I click on hub call list, it will attempt to to call the same contact. I've tried deleting the contact its trying to call but still tries to call the number. Anyone else having this issue? using Simpler dialed as phone app. was working fine until android update to pie. this problem is in conjunction with BBM messages not showing up in Hub either. No but there is a funny dependency with Samsung and it's own contacts and dialer app. Might have something to do with it. Are you using them BlackBerry contacts app and granted all Hub+ permissions? Using blackberry contacts. I've been using for over a year with no problems. This all started with Pie update. Interesting. I'm using a Pixel 3 with the full Hub+ Suite, no such issue here. This may have more to do with changes to the Samsung's own dialer / contacts and/or its own version of Andoid Pie. I would start by resetting the Samsung contacts app and dialer app, followed by a clean install of Hub+ Suite. I usually find a clean install of the Suite fixes most issues (too bad there is no backup/restore feature). seems to be hub issue as problem returns. also attempts to text the wrong number when you press and hold on number in Hub, hit 3 dots and hit send text message. obviously something messed up in Hub. So is there no resolution to this problem?? I have the Note 9 as well and I'm very frustrated with this. On my Pixel 3. One outgoing call now will have two entries. One is number only, the other is the contact name. Is this something that can be fixed? Which version of BlackBerry Hub+ Services? There is no Send Message in the 3 dots menu. Or is that entry only visible on Pie? 'Cause it's not available here on Oreo on the KEY2. Well, it's not. Not for me, that is. Oh, and I am using BlackBerry Contacts btw. Same. Using contacts. Had a blackberry android phone before work changed us to Samsung so I downloaded the hub+ suite. Not sure why you don't have that option. I've always had it on android. Not for every, actually. But something like this. The two numbers were my calling to Sydney water. But three entries appeared. Some calls to a person have the same issue, one number and the other contact name. Also not every incoming call was logged. Please note I'm selecting a call on the hub and then hitting 3 dots. Doesn't work from other items. Beta users don't have that option. We had to remove it; we don't have direct access to the Call Logs anymore due to Google Play policy changes. We're still able to integrate Call Logs on some devices through the Notification Access permission, but we can't pull out the phone number reliably enough to offer the same menu items.